The Astrolux K01 CU is an interesting light in the budget space. It’s coated copper makes it look very cool but adds a lot of weight and unecessary length to the light for only running a 14500. That said it’s driver and modes are fantastic and I love it comes in many different tints. Check out my full review for my thoughts. To purchase this light use the link below. 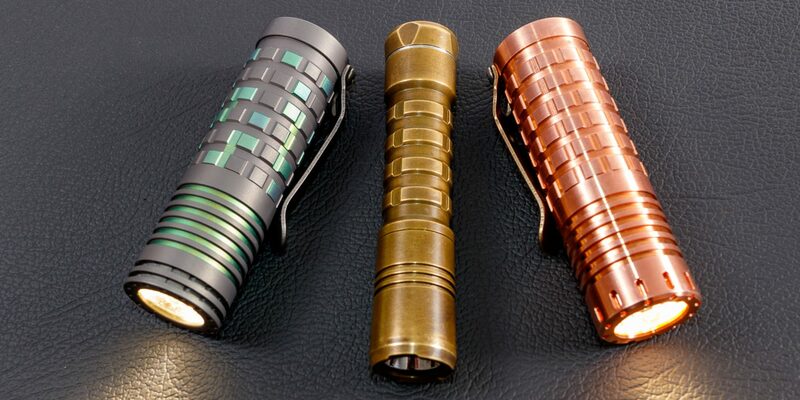 Here is my review of the Olight S Mini Baton in Raw Copper. It’s been my EDC for most of the month of January and I really like it. I love how the copper light is taking on a patina of its own and it’s performance for it’s size is fantastic. If you would like to purchse this light here are a few places you can do so.